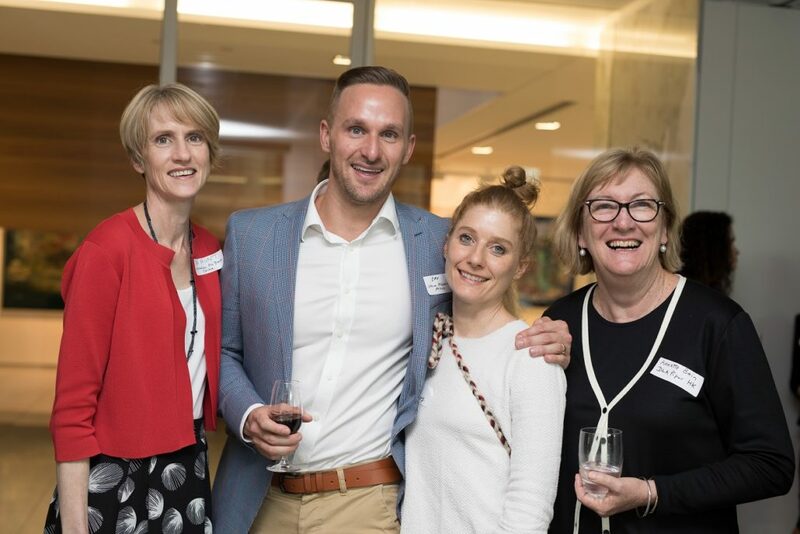 The Sixth National Access to Justice and Pro Bono Conference was held for the first time in Adelaide, from 23-24 March, with the theme of innovation and collaboration. The Conference was hosted by the Law Council of Australia, the Law Society of South Australian and the Australian Pro Bono Centre, and was held at the Adelaide Convention Centre. The evaluation survey of delegates indicated a high degree of satisfaction with the event, with 26% of those responding giving it a 5 (excellent) and 58% a 4, on a 1 to 5 scale. There was strong support for the diversity of topics covered, the speakers, the networking, the venue and the food. A powerful opening address by Fiona McCleod SC (President of the Law Council of Australia), who reminded us that the current serious access to justice problem created by the funding crisis would be far worse were it not for the deeply ingrained culture of pro bono in the Australian profession. Presentations by Professor Sheldon Krantz (Georgetown Centre for the Study of the Legal Profession, Washington DC), with his keynote address on ‘The Legal Profession: What is Wrong and How to Fix It’ also being the title of his book (see story Seven Steps towards Better Justice below). His true passion was on show in his highly entertaining dinner presentation on the topic ‘The Rule of Law in the New America’. Bevan Warner (Managing Director, Legal Aid Victoria), who talked about the language of hope and the importance of new alliances. He urged us to move beyond the narrative of fear and put more effort into cultivating the language of hope. He said this means framing debates around points of commonality, rather than points of difference. It means demonstrating more inclusive and emotionally attuned leadership – reaching out and building new and unlikely alliances. The Innovative Pro Bono Partnerships session with great presentations from: Tim Graham (Executive Director, JusticeNet SA) and Paula Stirling (Senior Solicitor, Crown Solicitor’s Office of South Australia) about the partnership successfully formed between JusticeNet SA and the Crown Solicitor’s Office SA to provide legal assistance for asylum seekers; Annette Bain (Pro Bono Counsel at DLA Piper, Asia), who identified several elements of effective pro bono partnerships, including a clear and shared objective, mutual interest and acknowledge of access to justice, complementary skills and defined roles, trust, and visible leadership; and Sue Garlick’s (Deputy Director, LawRight) presentation on the highly innovative ‘LegalPod’ partnerships which involve small groups of lawyers from 11 different law firms with offices in Brisbane, working together in ‘pods’ to assist young people transitioning from state care. The brilliantly chaired session by Jeremy King (Pro Bono Partner at Corrs Chambers Westgarth) with John Eagleton (Partner, King Wood Mallesons) and Moira Deslandes (Associate, Opportunity Child), providing the audience with a clear understanding of the burgeoning legal needs of social enterprises, and venture philanthropy/impact investors, and the challenges of bringing together the cultures of government, the community and the investment sectors to form new and novel arrangements. Two sessions on self-represented litigants (SRLs) focusing on innovative ways by which courts and other organisations are supporting SRLs in the legal system, particularly through the use of technology and the development of self-help tools. One of the highlights was the presentation by Margaret Castles and Alexander Stanley (Access to Justice Project Team, University of Adelaide Law School) on the development of an ‘A2J Guided Interview’ for individuals wanting to bring matters to the South Australian Civil and Administrative Tribunal This online interview module was being built using the A2J Author software tool developed in Illinois around 2005, still available free of charge for non-commercial purposes. Will Alstergren QC (President of the Australian Bar Association) in his breakfast address, also urged for the establishment of a national approach in Court to unrepresented litigants and, “taking a leaf out of the great work done by QPLICH and the Self Represented Litigant’s Unit”, listed the suggested tasks that a clinic or legal access centre should perform between the first and second appearances of a self-represented litigant (more on this in the next edition). 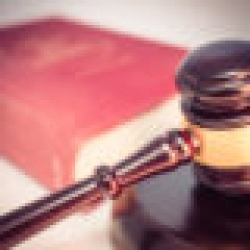 Will also suggested that the profession could consider capping its pro bono efforts if government didn’t properly finance the legal assistance sector. Claire O’Connor SC who in her ten-minute ‘Ignite’ session provided a potted history of lawyers in the firing line, all the way from Atticus Finch in To Kill a Mockingbird, to Martin Luther King and Mahatma Gandhi, and then to some well-known Australian lawyers. She provided the audience with the memorable quote from a young South African girl who, when asked why she wanted to be a lawyer, replied, “to make the unheard heard”. Alistair McEwen (Disability Discrimination Commissioner), Kristen Hilton (Equal Opportunity and Human Rights Commissioner, Victoria) and James Farrell (Director, Community Legal Centres, Queensland) who convinced us of the power of preventative action to improve access to justice. Kristen provided the powerful example of the work of the Equal Opportunity and Human Rights Commission with the Victorian Police concerning the prevalence of sexual harassment in the force to show that systemic change requires great listening skills, getting close to the problem, and working closely with the agency. Reform parole laws so that parole can be granted even if the parolee doesn’t have a stable address. Amanda Alford’s (Director, Policy and Advocacy, NACLC) convincing presentation on why government should properly fund the legal assistance sector. Alice Cope (CEO, UN Global Compact), who told us how NGOs and business are engaging with the SDGs, particularly SDG 16: Peace, Justice and Strong Institutions, and specifically 16.3, that for the first time, provides the goal of ‘promoting the rule of law at a national and international level and ensuring access to justice for all’; and Myfanwy Wallwork (Executive Director, LexisNexis) who provided an example of this engagement by showcasing LexisNexis’ Rule of Law initiative in the region, ably chaired by Phillip Cornwell (the Centre’s Chair and Senior Finance Counsel, Allens). Sarah Dale ( Principal Solicitor, Refugee Advice and Casework Service), Alex Reilly (Deputy Dean, University of Adelaide) and Hugh de Kretser (Executive Director of the Human Rights Law Centre), who told of the remarkable pro bono legal work being done for asylum seekers and refugees, without any government support for their services. Antoinette Braybrook (CEO, Aboriginal Family Violence Prevention and Legal Service, Victoria), who provided a real example of what a health justice partnership (HJP) looks like amongst Aboriginal women in Victoria with the inspiring ‘Sisters Day Out’ program; Tessa Boyd-Caine (CEO, Health Justice Australia), who gave us the moving story of a person helped, and the national picture in the expanding landscape of HJPs; and Chris Boundy, (Legal Services Commission, SA) who shared the frustrations, and the lessons he had learnt in seeking to establish an HJP in South Australia. David Neal, SC (Barrister, Victoria) with his detailed analysis and presentation on the historical plight of legal assistance sector funding in Australia. The Hon Mark Dreyfus, QC MP (Shadow Attorney-General) who promised that the CLC funding cliff would not occur under a Labor government – but thankfully that’s now history! Our thanks to all who attended and sponsored the conference. Thanks also to the Centre’s co-hosts, the Law Society of South Australia (particularly co-chair Greg Howe) and the Law Council of Australia. And thanks to the directors of the Australian Pro Bono Centre, who chaired sessions at the conference: Phillip Cornwell, Jonathon Hunyor, Dominique Hansen, Deborah Di Natale, Leanne Collingburn, and Mark Woods. The next National Access to Justice and Pro Bono Conference is likely to be held in Canberra in April 2018. Dates will be confirmed mid-year. Some conference papers have been collected and will be uploaded to our website soon. Photos from the conference can be viewed here. If you would like to use or republish any of these photos please email info@probonocentre.org.au to access high quality versions.